Some psychics have expressed interest in a place where they can converse about their gifts and experiences as psychics…so here you go, consider this your space to share personal, psychic insight! Feel free to talk about whatever is on your mind – be it your favorite piece of advice, how you became psychic, a crazy experience you had…its up to you, we want to hear it! I’ll never forget..the first major psychic event. I had a friend when I was around 13 who practiced Wicca, could read cards, and so on. Until that day, I was undecided on many things in the psychic arena. My friend had tried to explain to me about past lives, reading people and etc.. One day I asked her to look in my eyes and tell me something or another…I can’t even remember what I asked her initially. I remember her trying to show me..I remember looking in her eyes, they went black, it reminded me of a tunnel with a light at the end. When I reached the light at the end, I remember seeing/or intuitive about the events of her life unfold before my eyes. Even stuff, that I asked her about later, that she told me only one other person knew. This was one of many events when I was around her, that psychic events began to unfold. I guess you would say I was young and dabbling but it was enough to make a believer out of me. When I was 14, I began to learn to read cards.. Since I still did not know the meanings of the cards real well still, I had to refer back to the books and read mainly to friends. It’s like I would read them, and then those things would happen. I have a lot of gut feelings or intuition you say, whether it be to truly know what type of person someone is to the core, what happened to them, whether it be seeing or just knowing… Since I do not utilize my skills regularly, they come a bit in extremes… at time nothing… at other times very strong. I’ve went to fairs before and they ask me why am I’m not reading people, but I do not see myself in the same way I guess they see me. I must learn to develop my gifts further as my daughter began showing signs of the gift at age 4 and I do not want her to have the same fear of these gifts as I have had most of my life. What advice do you have for further development and teaching a child with such gifts? My mother was never really very supportive with such things, but I would like to be there for my daughter and teach her the right things also in this regards. Great advice. I also place a braid of sweetgrass in front of me. My husband who is Native also, reminds me about the need to smudge after being around electronic devices like my computer, telephones, even televisions as these appliances deplete our energy and can put us off balance after a period of time. Good to hear your advice. Happy Birthday !!!! Hope this day was filled with fun, joy, & happiness for you . I appreciate your input on the time meanings. I realize this is a very spiritual time span for me its part of the Harmonic Convergenceof energies that is currently taking place with the Full moon, New Moon, Solor Lunar Eclipses happening since July 7. Its an activation, download of some sort forallot of people and for me personally. I howeverhave to pay particular attention to my rhythm. The time frames you mention or suggest for mewould make me physically ill to read. Ido come on early in the mornings just not that early LOL. I also am a professional hypnotherapist, certified past life regression therapist I always write andjournal my dreams, visions and feelings. Some day you’ll read a book I’ve written.Read my testimonials I am known for accuracy.OnlyGodis 100%my information comes from the light and heavenly sources. I do get daily validation from those that read with me on my accuracy.I wish you much prosperity with this line. Hello out there in cyber psychic space. I have had the hardest time sleeping through the night as of late I wake up every night between 2:30 -4:44 and for some reason that 4:44 comes alot. Your thoughts on that? I’m with Gina Rose on needing guides for the blogs…I can’t keep up! I wish there’d be an email sent anytime someone replies to a thread/blog that we’ve replied to. I’ve just realized I missed many new blogs/posts somehow?! Paisley wrote a wonderful note in an older blog and I just found it. Hi Paisley 🙂 Aho (does that mean hello in Lakota?) I would love to see more American Indian teachings and legends…wish you’d write more about it. Those of you astrologers will understand me better by knowing that I have Sun conjunct Neptune in my 12th…almost but not quite conjunct my ascendant. A recluse for sure. I prefer my privacy. I’m an artist/painter and an avid gardener. I’ve also been collecting stones and rocks since I was a kid. I loved crystals and used to grow them in special solutions…it totally fascinated me the way they grew, their amazing colors and how they sparkled…bird feathers enchant me too. I’ve been riding horses since 7 and always kinda felt like I was an Indian. My mother was a Russian Jew and my father an Irish/English/Scottish protestant but I am a Buddhist, lol! I have many Wiccan friends who say I’m a witch 🙂 Maybe I just prefer a little of everything! I am totally loving learning about all of you and your amazing abilities 🙂 I feel so lucky to be part of this group of gentle and gifted souls. ….and , in general but not always depending on each case, the client has to remember that ” they did not get into their situation overnight, and they won’t get out overnight either. i am glad you feel the same way. we are blessed…..i thank God for every day of my life. Nice to meet you. I like the picture! What I do is pray. I pray to God to protect me and my clients, give us peace and calmness and bless the reading. Also, I ask God to keep the white light around me and the client in the reading, and to protect us both as the heavens are looking down on us. And to please show me the good in this person’s future. It works! Thank you! Shes a terror actually lol. Congrats on the Grandbaby! My baby is a June baby too…she’ll be two the 18th of this month! Love your pic, she looks like a sweety !!!!…. I became a GrandMa last June for the first time…. My Guides start talking from the get-go. are tracking them and their siutation…that they are ” on target ” , or ” on radar “. I can usually tell them something specific, right from the start, that convinces them that I am the real deal. In fact, I prefer to read ” cold “….they can tell me the ” story ” after my Guides get done. Normally, if you can make a believer out of them from the get-go, they will, at least, listen. My goal is for testimonials based on accuracy….it’s not important if I like them, or they like me….they are calling for an accurate reading. ( I DO like the fact that they like seem to like me, but , in the end, it’s accuracy, not congeniality or popularity that I strive for). My Guides give it to me and I give it to them, ( I’m only the talking parrot)…for better or worse. I’ve had clients, rarely… but it has happened, hang up on me when I won’t tell them what they want to hear. I’ve had the SAME clients come back later to apologize, and say they wished they had listened to me. I can remember, over the past couple of years, only one client that keeps asking for ridiculous signs…like “make it rain on Tuesday “….sorry my Guides don’t do the weather. Meditation is the key…..it will help your increase your ” stamina “….you want to achieve consistent ” flow of energy “. Also, meditating before you give a reading and surrounding yourself with white light and energy will help protect you. If you practice meditation , every day, faithfully,you won’t be so tired at the end of your reading shifts. I hope this helps you …. That is funny. I think you handle this issue with grace and care. Yes, they can always call you back, absolutely. Okay, here is what I found….. Most middle aged folks ask me before I even have to start and ask this. Hmmm. Something to say about experience and wisdom. Even with folks in the 30’s and 40’s are asking most of the time for tips and suggestions. However, it appears the majority of the younger callers are not as open. Don’t get me wrong, I have wise clients that are very young that do ask for help, and they have for sure got “the groove” on how to make the most of a psychic reading, in order to enrich their lives. ALL OF YOU PLEASE KNOW THAT IS OKAY!!! We can try again, as long as we have the luxury of being alive, we can try again and start fresh. LOL I don’t mind if you did not take my advice. I hope you come back with an open mind and let’s try it again. I told Abigail in the other post, “ask what you are ready to hear,” all these clients who are skeptical have to do is read all of our testimonials, for the majority of at least, these testimonials are about a chemistry….The chemistry between the client and the psychic. Almost like a team. Actually, when we begin to work together, things start to unfold and the client begins to really embrace the luxury of a psychic reading and of course, the confidentiality they have with the psychic. Part of evolving is learning what works and what does not. There is a cause and effect to most everything. Therefore. it is never too late to ask again. We are alive aren’t we? Then we have the chance to try again! We want to help you get it right! Thank you so much Verbena. Please all of you super psychics comment on this. We want to hear! I’m going to need my Guides help to find certain blogs in this maze of blogs soon. I LOVE John Edward! I feel I am sort of like him in the way I read. Not too mention hes easy on the eyes :)! 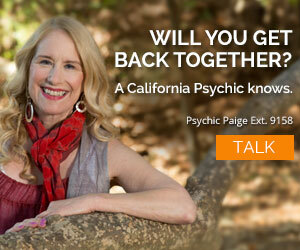 I’ve been dying to find something like this where the psychics themselves can share and talk! I hear so much about you all from my customers as many customers talk to many of us. Its interesting when a few of us pick up on different aspects of their life and they are able to piece it all together to help muddle their way through this complicated way of life. I’ve always been curious about protecting myself if that makes sense. I will admit that I often just hop on the phone or conduct a private read without “preparing myself.” Sometimes after work I feel so drained and sometimes have a bad headache. I think its because I channel so much energy from the spiritual sources and it drains me. Do you psychics have any suggestions on how to protect yourself or make the effects of channeling energy a bit easier to deal with? I find myself struggling at times and want to give each and every caller (first of the day-last of the day) the energy and enthusiasm that they deserve. It’s rare, but I DO once in a great while get a client that only wants to hear what they want to. I ask them to please listen and think about the reading my Guides are giving them. I normally remind them that IF they are SO SURE that they know the answer to their own question….they would not have felt the need to call me in the first place. I also ask them to allow me to do my job and give them their money’s worth. I also, with the help of my Guides, I attack the question from a Karmic plane point of view, rather than the Earthly plane point of view… ( which is normally the ” plane of view ” they are stuck on…..that nine out of ten times works..
My Guides will go the distance to give the client specific Karmic markers, to prove to the client that they are targeting specifically them…. …When you make a believer out of a client, you usually make a good listener too. Does that answer help ???? Am I posting this in the right area ???? fabulous mediums here at CP. 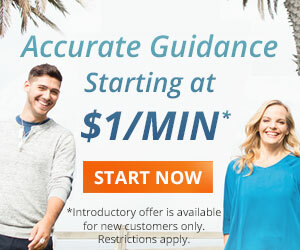 John Edwards had a two year waiting list, last I heard,….you might want to check out some of the great mediums here first….it would be alot faster than waiting a few years and alot cheaper too. Maybe your own guides are guiding , as you are watching his show,..you to him…..to connect with your loved ones. He is a great, great, medium. Many years ago, when the producers were starting the taping his show….I was chosen to be in a group to be ( one of ) his backup mediums. The producers also were interested in my ideas, and other psychic’s ideas, (about ten of us total), of finding ways to tape the show where skeptics could not ” tear it apart”. They ALREADY knew, before it even aired, that it would be a big hit,and he would not be able to handle all of thousands of requests for readings, including email readings. He is not an all’round psychic….he is only a medium, in other words , his specialty is ONLY connecting with loved ones crossed over. I have the utmost respect and admiration for him…he IS the real deal. Thanks Gina rose,.and likewise.Indeed,.the trans-medium experience can be interesting to say the least. A funny memory comes to mind:I was channeling for a group of people once,.a spirit guide that was pretty unusual and humorous.There was an empty paper bag under my chair. A cat jumped in the bag and got stuck. You have fantastic energy….I’d bet you are really a fun person, and interesting person to know…. I loved your story….what you were acting as in that moment,was a trans medium…. the spirit actually used your body physically to play the trumpet. Cool!!! !…..I have a baby brother you remind me of…. Sometimes a past life flashback can seem very real…..sights, sounds, smells, memories in the moment. etc….. But I really liked your last paragraph the most…..not everybody was a famous person or powerful person in their past.!!!!!!!!! You make an excellent point !!!!!!!! ( I can’t tell you, in the 43 years, I’ve been reading, how many people have told me they were King Arthur’s Guinevere in a past life )…. BUT a past life regression CAN BE EXTREMELY healing for current situations, as you so aptly stated. And , when a soul crosses over, fame and power does not matter in the least on the other side. I just found this blog!! Fun!! I have been into past life regression since I was a child, and have had many spontaneous past life experiences, some of which have been in dreams. About a year ago I had a dream that I was Mary Queen of Scotts. I experienced, in my dream, the first chop of the guillotine, that didn’t quite do the job, and then woke up as my head was severed from my body, and I was looking up at my body from below!! As I came more fully awake I had the full awareness that my head was no longer attached to my body!! Totally wierd!! It took me several minutes to “get myself together” energetically. Before I had this dream, I did not know anything about Mary Queen of Scots, or about her death. When I did some internet searching, I was amazed at the accurateness of my dream. I am a Certified Clinical Hypnotherapist and Past Life Regressionist, and have done some interesting work with others and on my own past lives, but this one took the cake!! PS: Im not a believer in people doing past life work to find out if they were famous or powerful people in past lives… I use it for healing current situations, and am aware that it can be considered metaphoric in nature as well as literal. Nobody knew about what I was encountering only but this Russian paranormal psych. so I am very grateful I found him, 20 years ago. Yes, I have known some wonderful Russian psychics. I need a lot of sleep, too. Someone I am very close with just quit smoking about three months ago. Poor thing, now they can’t sleep. The mind is something else….Thanks for your input. I totally appreciate it. well,.as for wild experiences,.Ill mention that when I first started talking to the other side,.I had alot to learn about the balance required and how far we can go in regards to channeling. I was working mostly not with a spirit guide,.but the deceased brother of a dear friend of mine,.a jazz trumpet player named Frank.Im a trumpet player myself,.and was in a band with Franks living brother,.Hildred. One night on a gig,.Frank showed up and asked me if could,.”blow for a minute”. In other words,.he wanted to play my trumpet,.through me. I allowed him to do it,.and stopped the place cold.It was another mans sound from another place,.and the feeling of another time.It shocked everyone,.especially me,..how,.was this possible? I never allowed Frank to do that again,.and he didnt really want or need to,.he just needed that one last blow. Its something ill never forget.The begining of learning the parameters of speaking with the next vibration. Ah ha …..well as a teen I could not do the concert scene although I did try to much noise and picking up on way to many energies, watches never kept accurate time on me although I found one that I wear long enough through a hypnosis show. Crystals blow off my body.I to am a light sleeper my Sean says geezz mom do you have one eye open all the time I just said its my antenna LOL I have cleared my house of geopathic stress and my office to because of my sensitivty. I have crystals in my office to help with the computer energy. Hi Gina Rose. yes, noise does bother me. That is why the callers hear my AC on all the time to block the city noise. Living around Hollywood, you hear sirens, horns honking and all kinds of city noise. The winter is easy because I can just shut the windows. It’s easier now because I live high up on a the highest floor of my building, so that helps. But there is no elevator and this reader has to climb up with her groceries lol but it is good for me. He used the cats and music for hypnosis reasons……a cat’s purring is very soothing and helps one to lapse into the deep altered state….as does the opera music. Many Psychiatrists who do Hypnosis use various means to take a patient down into the altered state of deep hypnosis….some use visual, some use auditory, some use both. One of the Psychiatrists I read for uses both visual and auditory tools for hypnosis reasons. You know, I’ve read for many Russian psychics and healers, they are excellent….one of my best friends is from Moscow…. The Russian people take their psychics and healers very seriously and have for many decades. Yes….I am very sensitive to light as well….so much so, that I sewed all of the curtains in my farmhouse and double lined them to keep the sun out. Does loud noise bother you the way it does me also?? ?….I cannot take ANY loud noise….at all. Seth, your guides are sending you clues about who will be coming to you for psychic help and guidance. Sometimes I will get names the day before and not know what to do with them. Then, a day later, a client will call with a question about that name. It’s along the same lines. Your guides and angels are really working with you. I am extremely sensitive to lights. Is it common for readers to be like that? I am one of those people at the market, mall or walmart etc., that always has the dark sunglasses on. I like dim lamp lighting– not energy saving bulbs. I agree with europeans and the japanese, that too much light takes our concentration away. I like natural light from the sun. I prefer candles even. What is it with us mediums and too much light? As far as appliances, I have to buy unfortunately, the best, usually japanese products, which seem to address the sensitivity of electrical equipment and are more soothing. This is from computers to even tv’s. Even some cell phones are too intense, had to try a bunch of them to find a nice comforting fit. I hear ya. Believe me. Thanks Abigail. Hey, you wanted me to write about this a while ago. I still can’t figure out why he put the cats next to me and played the opera in the background. He did hypnosis and regression. I never had it again, and that was twenty years ago. I think the guy passed away, he was elderly even twenty years ago. He knew all about it. Obviously, he was amazing to stop something that lasted my entire life. Like I said, I have not had this ever since. I can recall it, however, like it was yesterday. I think it is overwhelming for kids to have paranormal abilities. Not everyone has someone like yourself in their family. I love your take on it. I am grateful. Thanks so very much. And when you woke up with no memory it was because your sub-concious mind was still stuck in the past incarnation. So you would go backward thru this life, thru the birth experience, thru the death (prior incarnation ) , to the lab ( prior incarnation)…..then wake up. There was no hypnotist there to bring you up and out at that point…..to the present incarnation. I’ve heard of this before……the soul retains a personality AND a memory of past lives. Your clairvoyance was in “reverse” drive not “forward” drive so to speak. 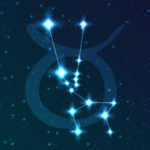 You experienced a review of your present incarnation which backed into a past life incarnation and saw the birth process connecting both incarnations, or lifetimes. …we are here to help others…. There is a saying in this field ” we only get the clients we are supposed to get “, meaning, it is divine intervention that certain clients are guided to us..
…it’s always difficult to read for one’s self…..kind of a bummer sometimes ya know (?)…. My Great-Aunt tutored me from around age 5 to use my abilities….but I went thru a very strong ” unfolding ” period in my early 20,s when I could not control my energy….I went thru new vacuum cleaners (3) ,a washer, dryers (2), a fridge,a deep freezer, even a hot water heater , ( ALL IN ONE YEAR )in the house I HAD LIVED IN FOR 5 YEARS….. even light bulbs wore out fast or burst. I had the wiring checked, breakers etc….all by a certified Electrician and all was ok…( my husband was fit to be tied over this ). was ” gushing “….it was not flowing smooth. It was getting expensive…fast….so I finally took hypnotherapy classes to achieve the deep altered state of meditation…I noticed it helped regulate my ” flow of energy ” to a consistent, smooth state. I still need 8 to 10 hours sleep per day, an hour or two of meditation per day, NO loud noise ( I can’t take ANY loud noise, I have above-normal hearing and I’m an extremely light sleeper, even a sliver of light under a closed door wakes me up ), to keep my energy flowing at the right pitch and sound, and flowing smooth and consistent without a rippling effect. Anybody else out there ever go thru appliances like that ????? Miss Krystal I think it’s wonderful that you shared this with everyone!! It was a past life you were getting and seeing how exciting. It’s eery and it feels like a Holocost past life with the lab. I’ll be curious to see what other psychics pic up. Funny as it may seem, I was “psychic” and giving psychic readings a long time before I ever realized that I was psychic myself. It was so natural to me that I didn’t even realize what I was doing. The part that amazes me about engaging these abilities to help others, is that every time I ask the universe a question, I always get the answer in the people that come to me for readings. For Example: At this time in my life I am experiencing a “stuck” relationship. One in which I feel a deep connection with someone and nothing about the relationship moves into the direction matching the connection that I feel. Of course day after day I receive inquiries from callers who are in a similar situation and each time I channell the answers for them from the angels, I am also listening to what they are saying to the caller and applying it in my own situation. I often find myself experiencing situations and dreams in my life that make no sense to me, then I will speak with a caller and I’ll feel something inside “click” and then I know who I was supposed to assist by having the insight that came from that dream or experience. Okay, here it goes. Please do not judge me, nor I have had no control over this. When I was a kid and a teenager, I did not know sometimes how to handle the paranormal energy I was connecting with from spirits. I have seen auras my entire life. The colors always exist of the following: blue, purple, red, orange, magenta, yellow, black, green and pink. As a kid, I am not sure if it was being too tired or what, but I would sometimes get the auras out of control, where they all started to come out too fast, and all of them spinning in circles(the color spectrum) it would take up my entire mind, eventually, as the colors spin around, I would see my entire life flash before me, in retro, seeing infant visions even……Then, I would be inside of my mother and see things through her mind, her eyes, but it was still me. But then, after it got to that, I would see a grave (sorry I am not a morbid person at all but this is true) and then, I would see bones and a grave dug up, with the tombstone beside all of this. It always ended with my spirit being in a laboratory. I could only hear at that point. At that point, I could NOT see who I was, just hearing voices, mostly men, sounding like an AM radio dial turning. I would then wake up from the episode, and my mom said, I did not know who I was for a few minutes nor did I know her. It also happened with my dad and brothers and, they said I did not know them. I had many tests, nothing ever shows up to this day. No Dr. no clinic, no tech can pin point this. Twenty years ago, I went to a paranormal psychiatrist, from Russia. He regressed me, I am not sure why he used his cats but, he put his cats next to me and I remember him playing a tape of a lady singing opera. I don’t have this anymore, so this man did something. I am not sure what he did. But I had this as a kid and up to 20 years old. It was something that repeated itself until I went to this paranromal expert. I think as I was growing, I could not and did not know how to handle all of the spirits coming to me. I do now and have for almost twenty years. So the spell went away, but I did have it for a very long time. The same thing, same scenario and the same end result. I hope this is not too much. I have been a medium my entire life. But this was something that was difficult and had to be balanced within my mind. I guess I have learned spirit control. This was not fun. I always had a bad headache after, too. I hope it never comes back. I know this is deep.